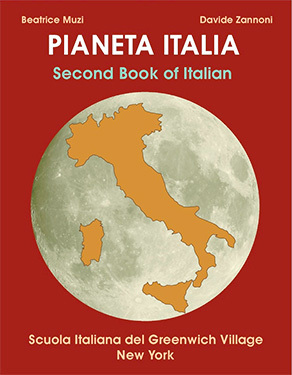 “Pianeta Italia” is the direct result of our teaching method. Our books cover all levels, from beginner to late intermediate levels. When we decided to put our experience and knowledge together to write textbooks, we kept in mind the fun, enthusiasm, and joy that we have shared with our thousands of students through the years, as well as the quirks and the peculiarities of our language. Our students inspired us throughout the formation of the book's structure and exercises, as they prepresent a vast cross–section of the city, some even arriving from Alaska (flight attendant on the ‘Red Eye’), Switzerland (business–woman fitting in Italian between assignments) and other countries for their lessons. Such curious travelers and Italophiles are involved in the arts, business, sciences, cuisine, fashion, and are deeply drawn to learn and master the language, culture, and absorb the Italian lifestyle. Chefs from a noted restaurant prepared with us before departing for their research in culinary traditions with masters in Italy. The informal tone of our classes is adapted into the text, as it has proven to be a most effective and enjoyable way to learn Italian: to have fun while doing so. 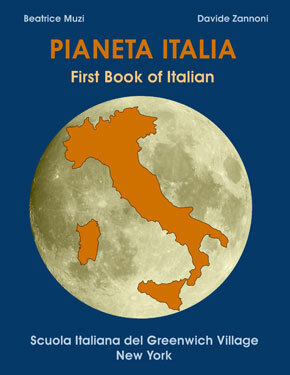 Our program encourages guessing and develops one's ability to think directly in Italian rather than merely translating. Each chapter begins with a dialogue based on real life, using all the appropriate idioms and phrases Iyalians themselves employ in a similar situation. Likewise, the exercises offers strategies based on reading, writing, and speaking, all stimulating one's learning. Volume Two contains a complete review of all the grammar covered in both books.